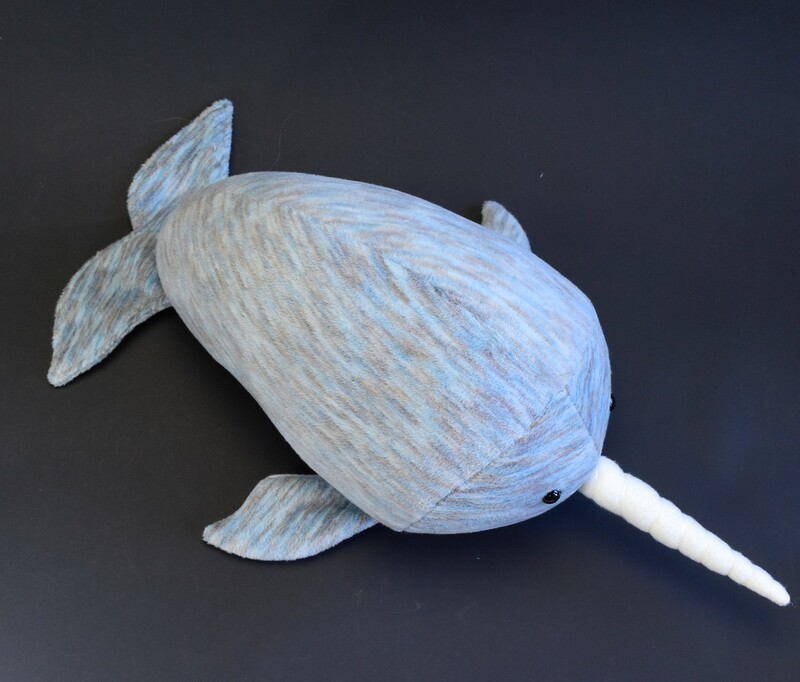 Continuing with the whale theme, here is a Narwhal. 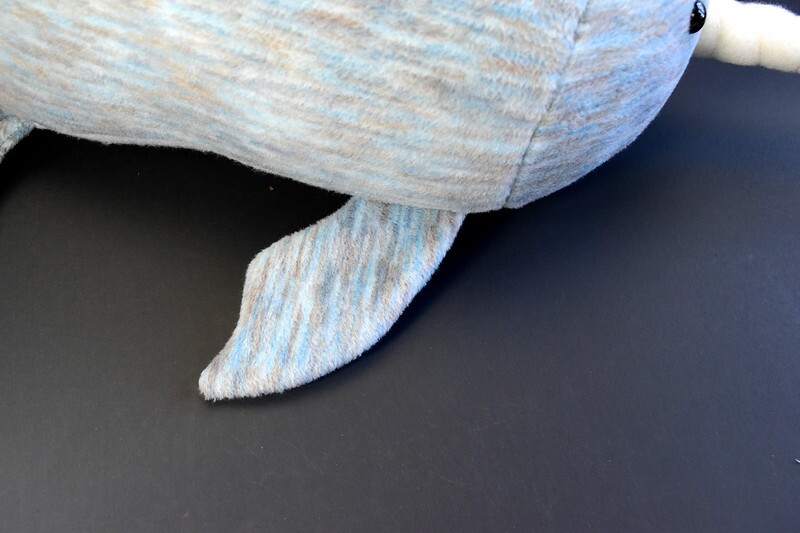 Anatomically, it's whale-shaped in that its tail end is narrower and more streamlined than its head end, but that head is less blocky and its profile as a whole less oblong than the Sperm Whale's. 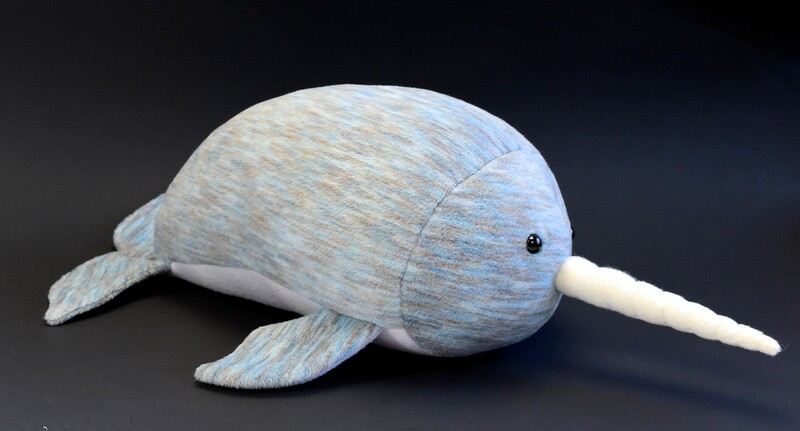 to make the Narwhal's more rounded head. but clearly so from the side. 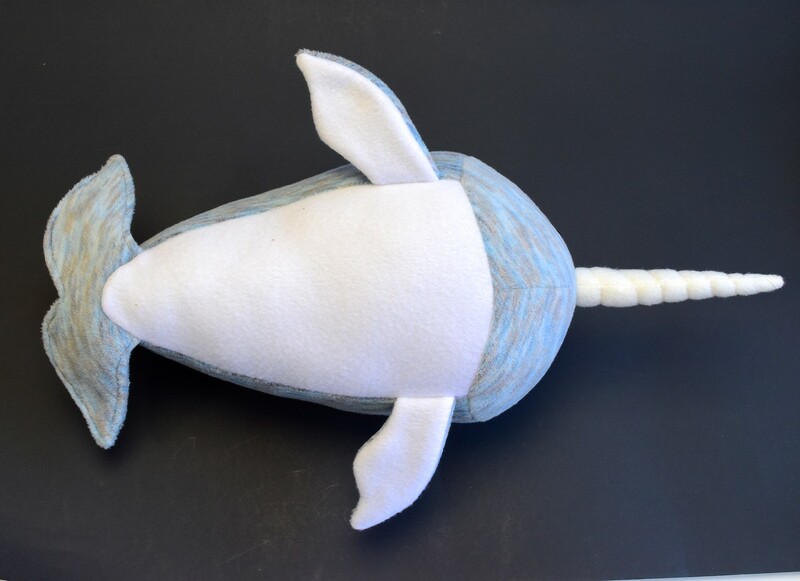 as are its pectoral fins. 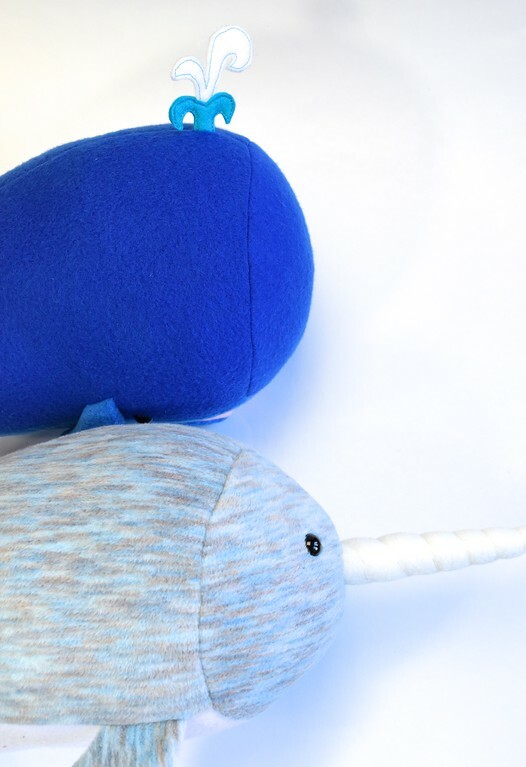 Real-life narwhals are dark on the dorsal half of their bodies and pale on the belly half, so I gave ours a white belly and made the undersides of their pectoral fines white to match. 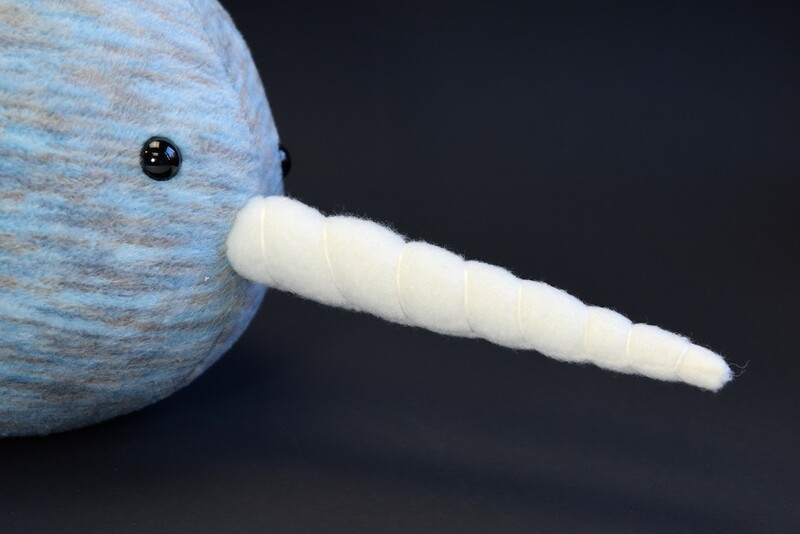 Finally, here's the Narwhal's iconic overgrown tooth that looks like a horn but actually isn't. I've recently learned that rather than being a lance for killing, say, pirates, that tooth is really a sensory organ used for finding food and mates, as well as to stun fish to make them easier to capture. Isn't nature marvelous? 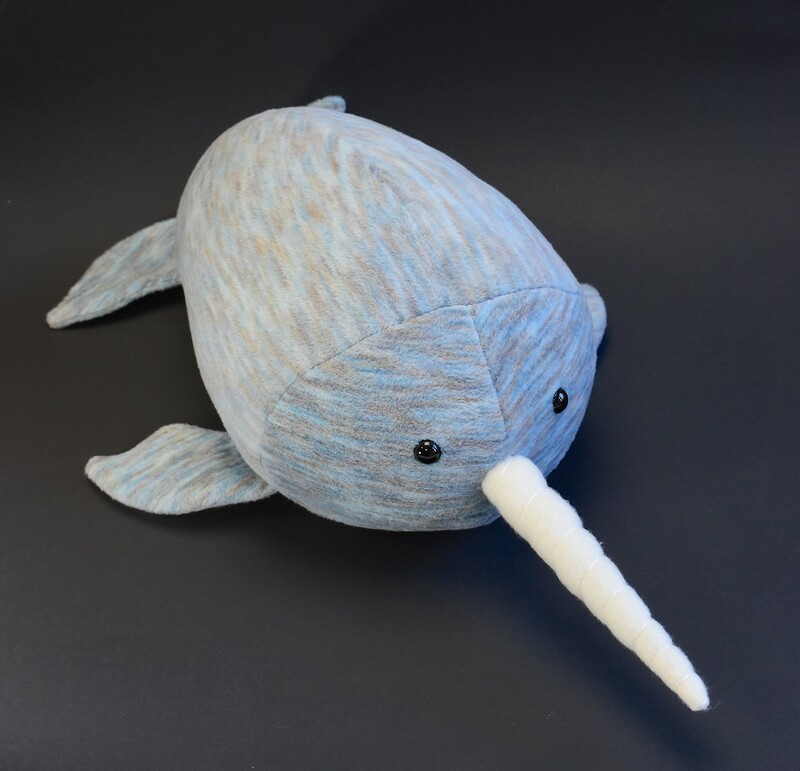 So, that tusk. 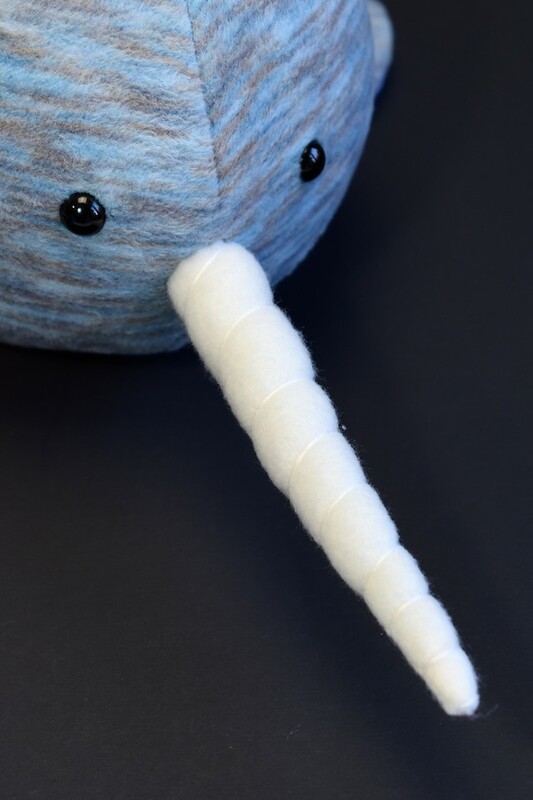 It's a skinny fleece cone, stuffed tight and wound around with pearl cotton or embroidery floss, then hand stitched to the center of the face. 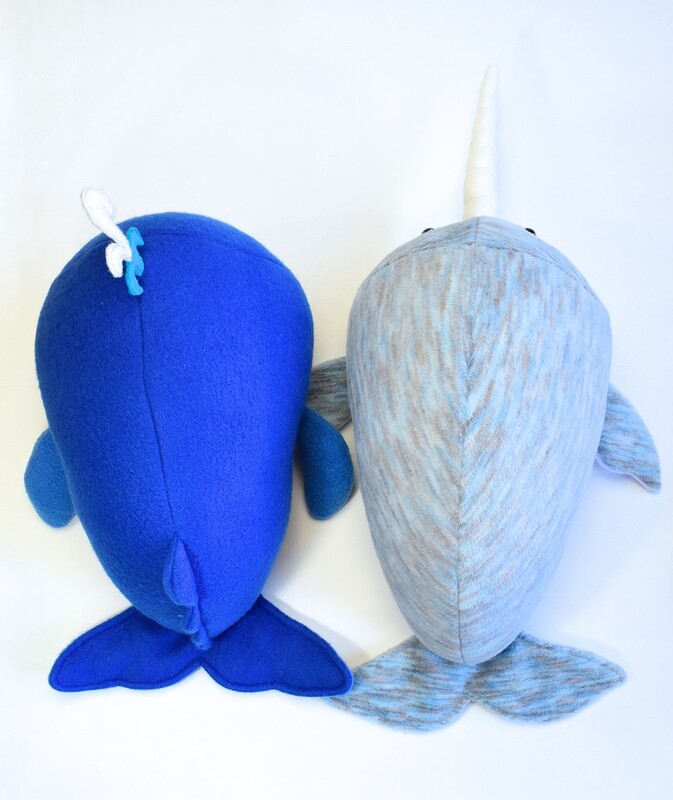 Here are the two whales together. Hello... my kids loved this version... 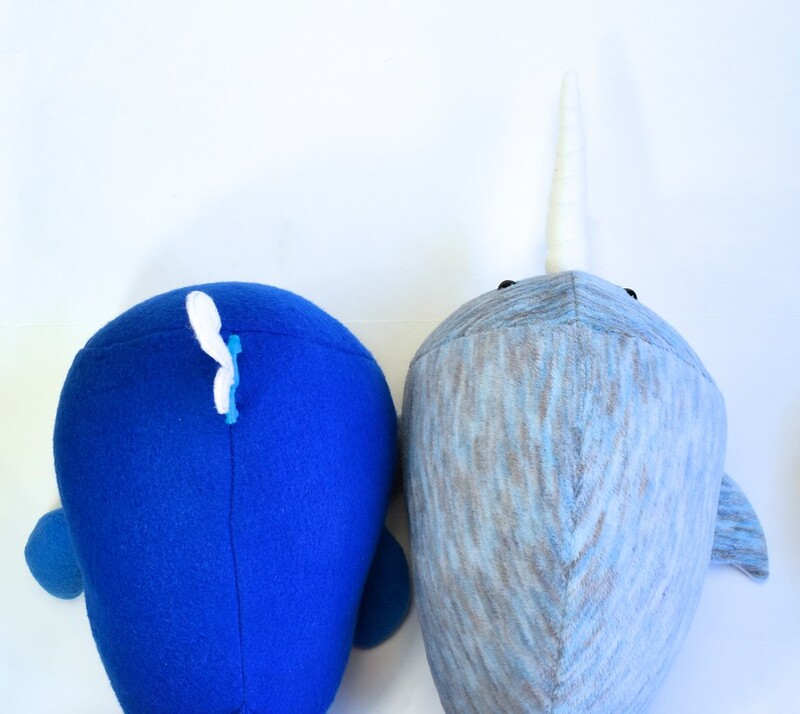 They were Narwhalls for Halloween! 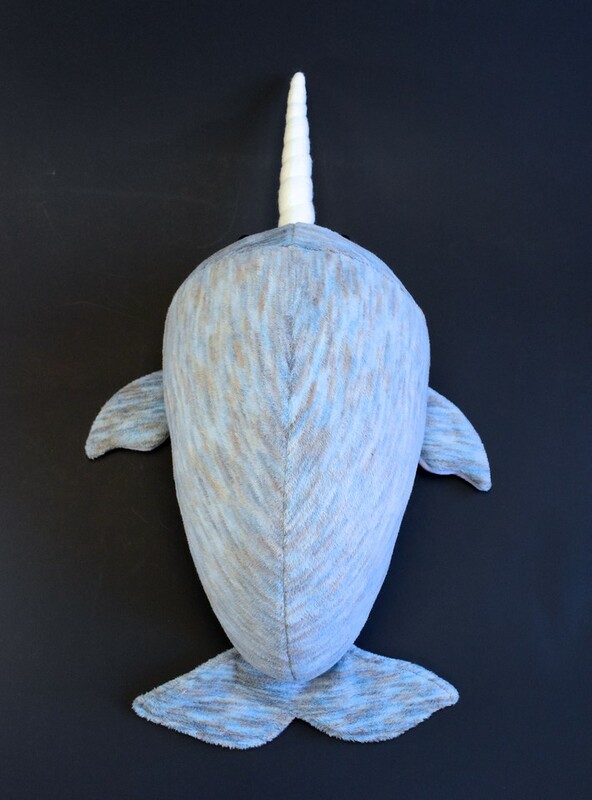 I love the fabric you used for the narwhal and hwo the tooth turned out! Oh My Gosh! 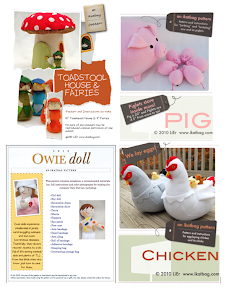 I love you - yep - I said it - total sewing crush! 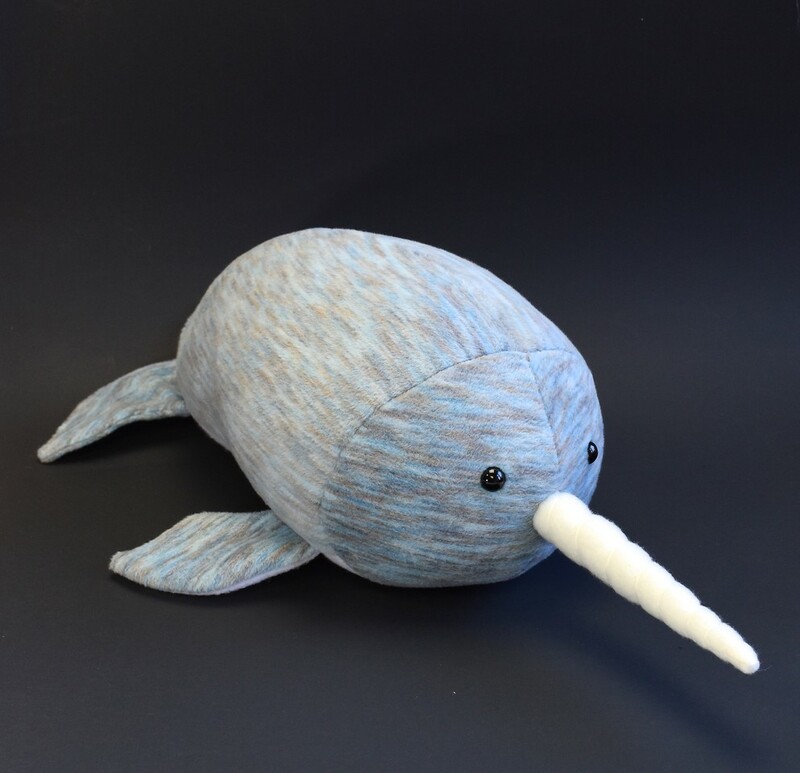 *grin* Every since you created the Niffler, I had been re-reading that post, and trying to think through how I could turn your menagerie pattern basic into a narwhal - my 11 yr old son has fallen down the narwhal rabbit hole. I am a knitter first, and a wanna be sewer - this was going to take me a while. 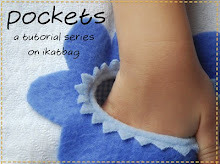 And here you are, graciously showing the world how to go about it! 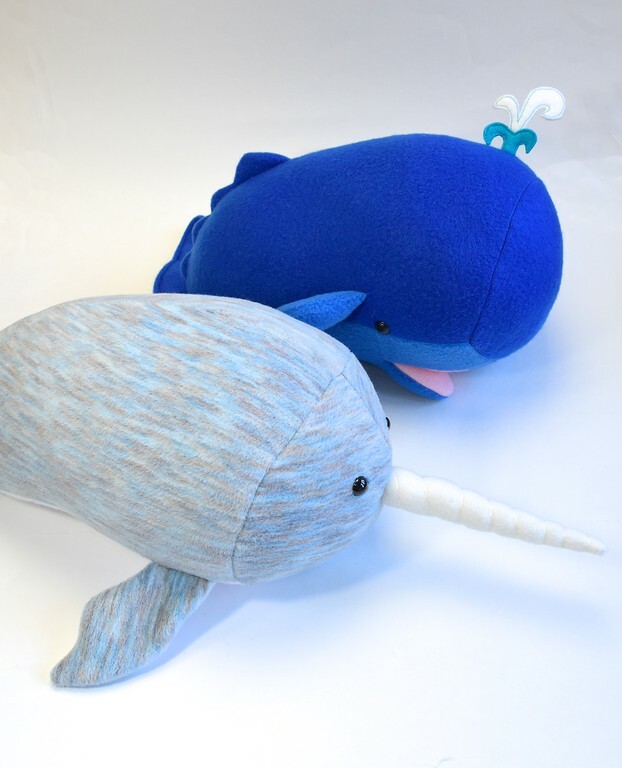 Narwhals.....I might have to dig through my recycling for my JoAnn's coupon. Thank you!!!! 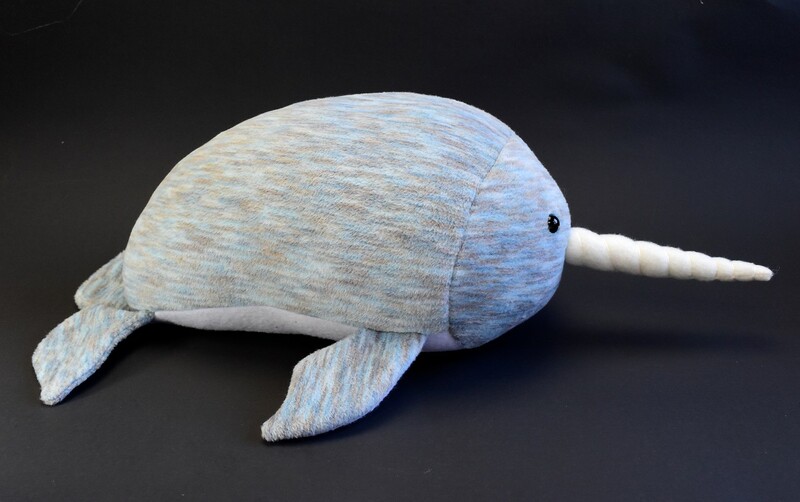 Unknown: So glad this might help you with your own narwhal. It's not difficult at all. 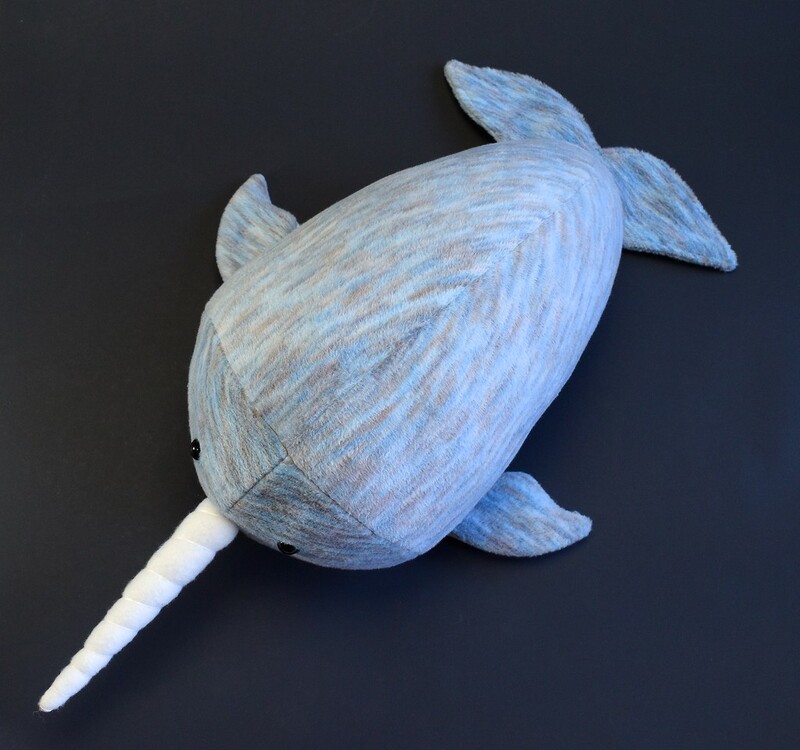 I am planning to include the narwhal in the expansion pack so if you're not in a hurry, that could save you some time. I wish I could say when the expansion pack will be available - I'm aiming for this year sometime, so hoping life will cooperate to make that happen. Thank you for your kind words!